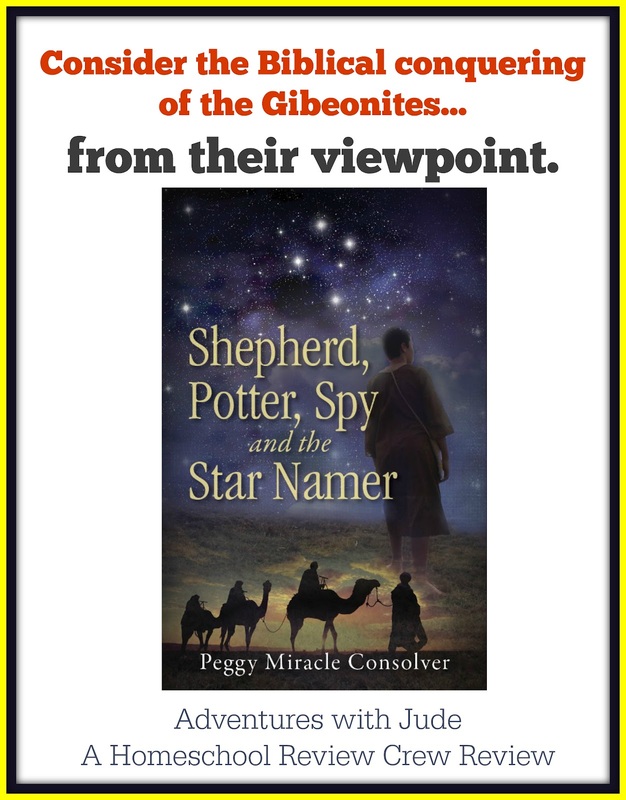 As an avid historical fiction reader, I looked forward to reading and reviewing Shepherd, Potter, Spy–and the Star Namer by Peggy Consolver - Author. One of my peeves in a historical book is the accuracy of an author's portrayal of the era. I don't get bogged down in the minutiae of the facts, but I can't stand when a Duke of the British Regency says "OK, Mom," or an 1880s mail-order-bride travels to meet a groom who had "proved up" his land on a Texas homestead. I find errors like these fatally distracting from the story because it ruins the whole sense of "I know this isn't a true story, but it could be." I am impressed with the historical background included in this story. Of course, Old Testament Canaan history isn't quite as readily available for Google fact-checking, but it's obvious to me that Mrs. Consolver has done her research, from location to character names and jobs. In preparing this review, I learned that she was part of an archaeological excavation team that worked in Khiret el-Maqatir, Israel -- known in the Old Testament as Ai. While this book ultimately is a work of historical fiction, the characters and plot seem eminently plausible because she has taken care to weave known facts into the story. As a parent, one thing I want my children to understand is that there are always at least two sides to every story. Luke and I are both avid Wicked fans, and as we have studied a particular historical event, we'll look at each other and quote from the musical about what gets known as history: "It's all in which label is able to persist." 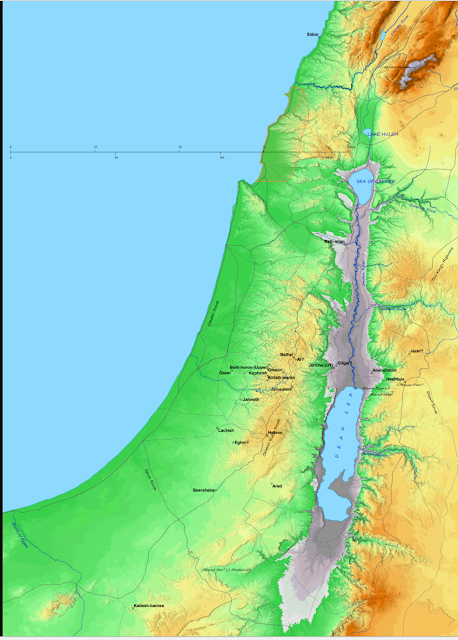 The "label" and story about the post-Exodus return to Canaan that has mostly persisted since Biblical times has been that of the Israelite side. Many of the events in the story come from the Old Testament, passed down in the books of Exodus and Joshua. I really liked that this story wasn't a retelling of the Israelite side, but rather contemplates the story of the Gibeonites from the view of one of their own. Many of the events come from the Old Testament (from the books of Exodus and Joshua). While some of the action occurs in the Hebrew camp, Mrs. Consolver looks at the story from a different perspective, embedding us with the Gibeonites for this story. She does an excellent job in providing a prospective view from the fearful inhabitants of Gibeon, watching the advancing Israelites. When readers know the outcome already, it's easy to become lax and show the losing side as weak, but Mrs. Consolver didn't allow the ending to propel the story. I could imagine the fear and uncertainty that the characters were living with during the time. Sites related to the story of the Hebrews and Gibeonites. Keshub is the central the Gibeonite protagonist, is a 13-year-old shepherd boy who is the fifth son. The story begins with him wondering how he can be noticed as more than just "somebody's little brother." One brother is a master potter, like their father; another eagerly follows in their footsteps as a novice. Another brother is a trader, while still another has become a skilled warrior and eventually a spy. Keshub is in search of his own way, and the story becomes a coming-of-age tale, sharing how he finds his niche in the Gibeonite treaty with Joshua and the impending clash with the Amorites. Keshub finds himself a shepherd at the beginning of the story, an aide to his Uncle Yaakoub selling pottery in Jericho, and ultimately a bit of a youth-of-all-requests, leading to a stint spying on the Hebrews. The "Star Namer" is not Keshub, but a god-like higher power. I think this inclusion adds to the idea that the content of history books may boil down to winners and losers, but it's not countries but people that are fighting. Keshub sees this group of Israelites bearing down on them, but at times wonders are they so different in what causes this war? Is it possible that the power they call the Star-Namer is the same as the one that the Israelites believe to be the stars' Creator? I think this is a real idea that is lacking in the us-vs-them, black and white mindset of society today, and the book raises a thought-filled question. 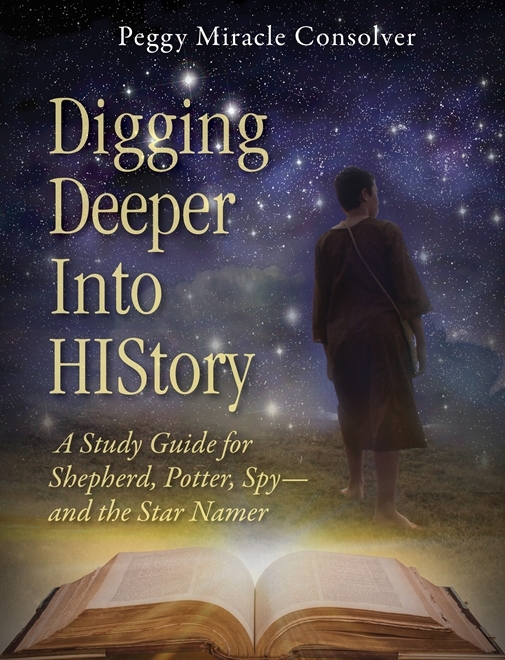 There is a companion study guide for this book, Digging Deeper into HIStory, available as a separate purchase from the author's website. (There is a downloadable free sample available as well.) 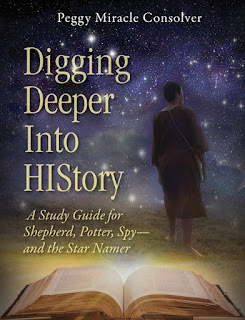 It can be used by any reader, from the individual student to a larger Sunday Schools/Youth Groups class to study details of Shepherd, Potter, Spy -- and the Star Namer itself, the Biblical accounts of the Gibeonites, and learning more about the animals and tools mentioned in the story. There is also a page of links to accompanying maps and research that coordinate with the book and study guide available here. There is a page of discussion questions at the end of the novel, but they are more of a way of guiding personal response to events, rather than a genuine discussion of the events. I have to admit, however, that as much as I enjoyed the concept of the book, I really struggled with the book itself. It's a story you need to be able to pay attention to, or you're going to lose the plot. I originally had intended to read it myself, albeit quickly as more of a pre-read, and then read it aloud with the boys. We usually do a chapter or two of a read-aloud daily, and since the chapters in the story average about eight (very full, smallish type) pages each, it seemed doable. However, my first skim-through had me going back and re-reading, and re-re-reading, and re-re-reading to be able to keep people and places straight. I think that perhaps here, the accuracy got in its own way. The names of the people and places were so accurate to the locale and foreign to me that I felt like I almost needed a scorecard. I found that two, perhaps three, chapters at one time was my limit, or else I began to mix everything up again. For me, it's definitely a "read-for-learning" book, not a "read because you have a few minutes free as you sit in the car waiting for the kids to come out of Karate. Even though Keshub is only thirteen, leading you to believe that this is about a middle-grades-aged person, the content is really far more dense for that group. I wonder if having the study guide would have made the reading easier (it was not part of the review). Back to the idea of the story presenting shades of gray. Because of this, this book is something that I would consider for a high school age or adult reader, to facilitate critical thinking and discussion, especially in the context of a larger Bible study. A good friend of ours has mentioned that her church will hold book/Bible studies that are stand-alone events but also build upon/set up the next study in a series. I think this story would be a good candidate for something like that. In the Bible, the Gideonites are descendants of Noah's son, Ham. This line was cursed by Noah because of Ham's actions. We actually recently have finished another fictional story based on the Bible, and this story shows the struggle the very human Noah had with the curse. He knew what his son had done was wrong, yet he wasn't intrinsically weak of character. The Biblical Israelites, descended from Shem, were in Canaan to take back the land from Ham's descendants, so it makes sense to see that there is parallel-ish thinking -- they descended from the same patriarch many generations before. Their beliefs were corrupted from the original, but they weren't far off. I think using this book would make an interesting eight or even twelve session group study. A long-term study would allow the reader to read and discuss the book a few chapters at a time, and potentially delve into the difference between absolute right and wrong, and the idea of "sort of right, sort of wrong, but being sort of wrong doesn't make you all bad." This book has certainly given me an opportunity to look at life from more than one viewpoint. 80 families have been reading Shepherd, Potter, Spy - and the Star Namer. To read other reviews, please click the banner below.